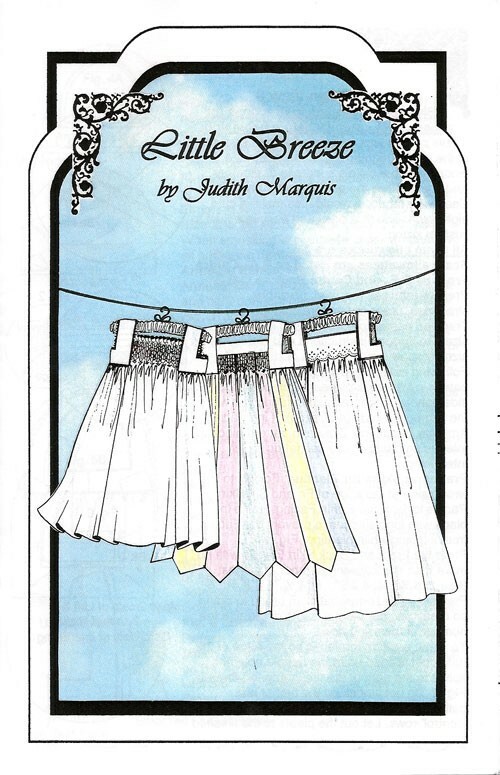 Child's version of the ladies gown pattern "Summer Breeze". Make this as a sundress, jumper or pinafore w/the same square cut armhole band as mom's gown. Short views with smocking, 1 view using heirloom Swiss edging & a version w/pointed hemline. 2 Smocking designs included.